Just a week after we learned a mobile version of Firefox would be on the streets soon, we have the first alpha release and it comes with a surprise – it runs on PCs too. Mozilla chose the end of the week to unleash the developer version of Firefox that it is codenaming 'Fennec' with a view to garnering feedback from the dev community. 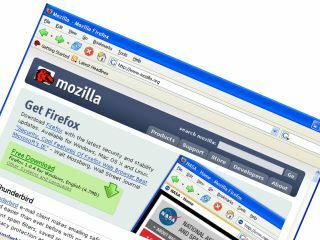 As the mobile version proper works only on Nokia's N810 Internet Tablet, Mozilla chose to also release versions for Windows, Mac and Linux machines to broaden the base of possible testers. Mozilla's Mark Finkle explained, "We want you to be able to experiment, provide feedback, write add-ons and generally get involved with the Mozilla Mobile project, even if you don't have a device." The unusual move was made slightly easier by the fact that Fennec uses the same code base as the recently released Firefox 3.1 beta for full-fledged computers. Mozilla is also targeting a version for Windows Mobile devices, but says that is yet to reach even the alpha stage. Fennec for the Nokia N810 runs on that machine's Debian Linux-derived operating system known as Maemo.